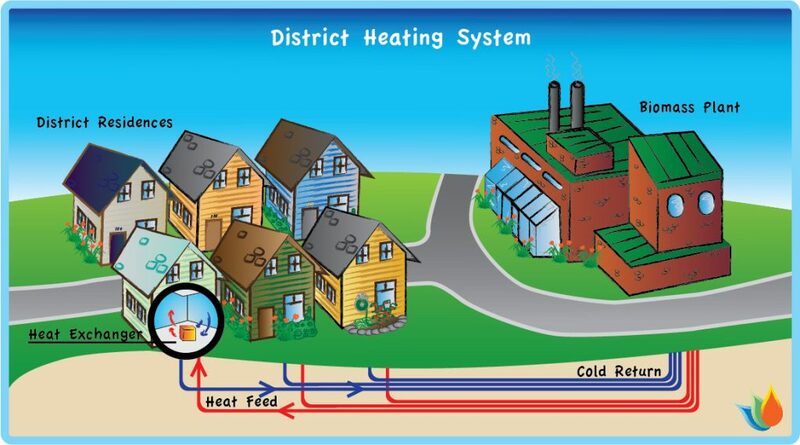 District heating systems include a centralised energy centre which then distributes the heat through a network of insulated pipes to the buildings which are connected to the network. 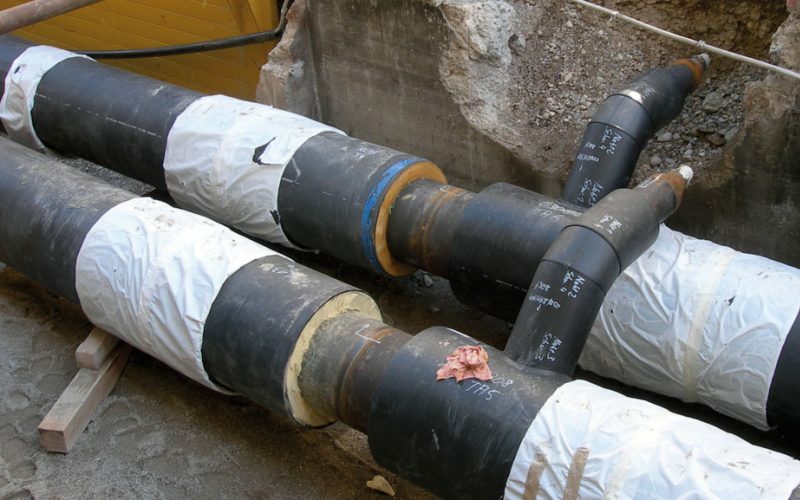 The network of pipework consists of a flow and return loop which passes each building. 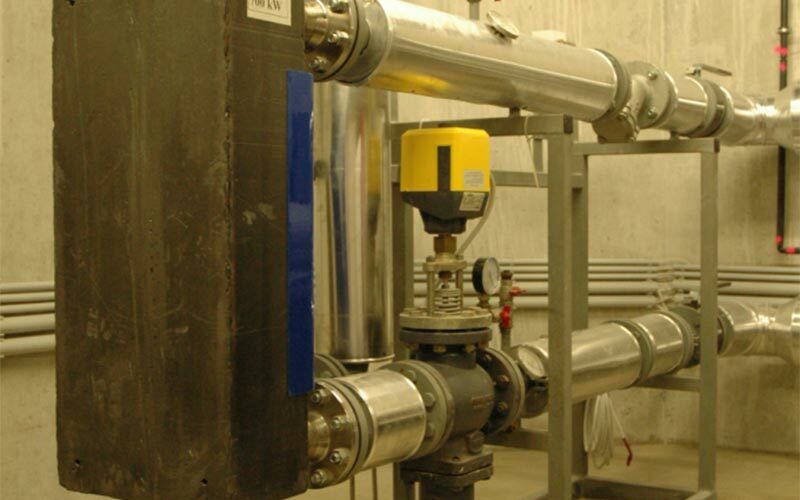 Colloide uses local substations in each building to control the flow of water from the district heating pipework loop through each substation and this flow is used to generate heat in the local building. 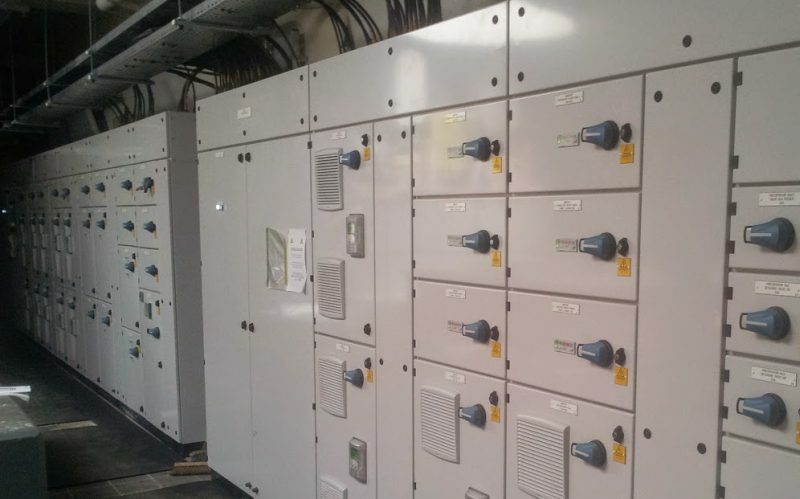 The central energy centres are generally designed to have more than one energy source, which allows the plant operator to select the most cost efficient and sustainable way of providing the energy needed with the energy sources being brought on and off line to meet demand. We design and build the district heating and cooling networks to include the pumps, pipework, thermal stores, instrumentation, control systems, local substations, heat exchangers and communication through a central control system – building in as much flexibility as possible. The control system is central and provides the plant operator with full monitoring and control over the district heating network and, with remote access available to the controls, the operator can effectively manage the system from anywhere. The central energy centre is highly efficient and more sustainable than small localised generation systems, thereby reducing carbon emissions. The flexibility of the energy centre allows the operator to select which energy source to use to be the most energy and cost efficient. We can engineer additional energy sources into the network in a way that maximises the system efficiency, making the overall system as efficient as possible. The District Heating network allows other buildings and heat sources to be connected relatively easily. Incorporating energy source options ensures that there is backup available if one energy source is off line. District heating can be used effectively in any centralised location and can connect any buildings which have a heat demand, thereby removing the need for individual heating boilers. These include buildings such as residential apartments, universities, schools, leisure centres, offices, etc.